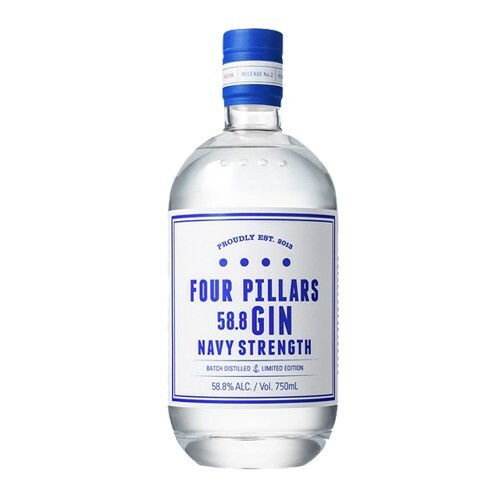 Four Pillars Navy Strength is a gin very much in the style of the Rare Dry Gin but with the volume turned up slightly beyond 11. At 58.8% ABV the gin can support some more robust and interesting botanicals, so there are three new botanicals that are both new (and fresh), including fresh turmeric and ginger. Together they have heightened the spiciness of the gin, and the turmeric in particular has added weight and a lovely earthiness to the palate. Also in the botanical basket about half the normal oranges have been replaced with some explosive native finger limes, grown in Byron Bay. They have an intensity of flavour and acid that is almost impossible to believe, and in the basket they help the gin attain super citrus notes and lovely high-toned freshness.